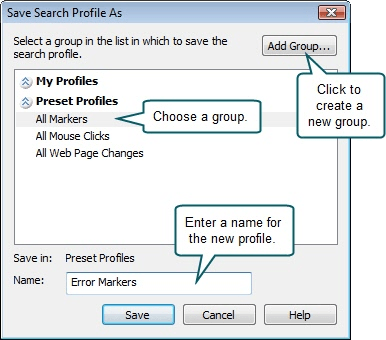 To make the analysis process more efficient, save and use your most commonly used searches as profiles. There are two options when saving search profiles. You can either save the search settings with a new name or overwrite an existing profile with new search settings. Click the Modify Search button in the Search results pane, or choose Search > Modify Search. Search appears. Select all the options to include in this search. You can also select an existing profile to overwrite.